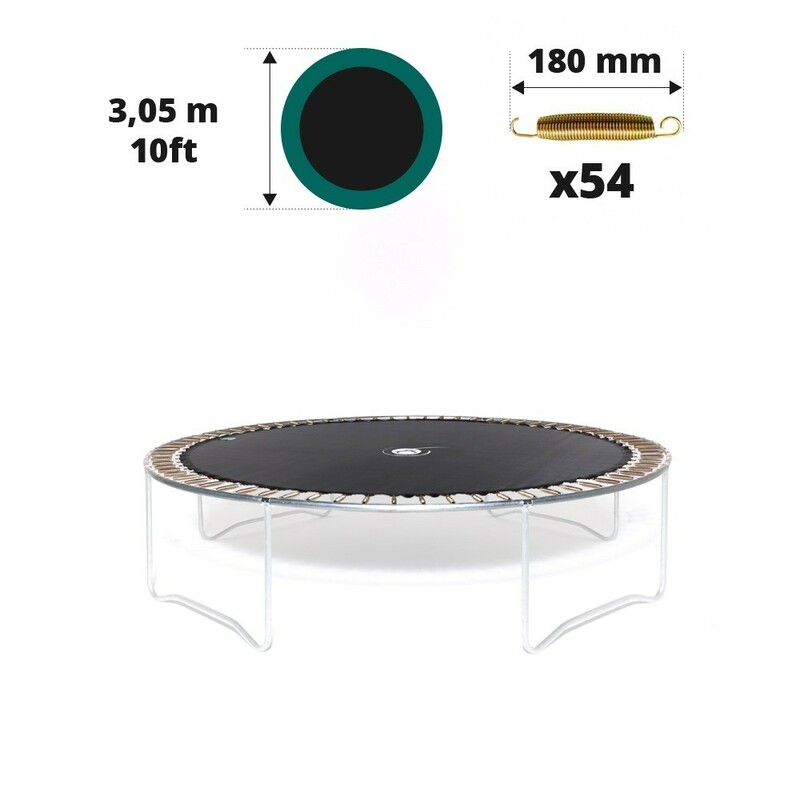 Jumping pad for 3 m trampoline with 54 springs of 180 mm. 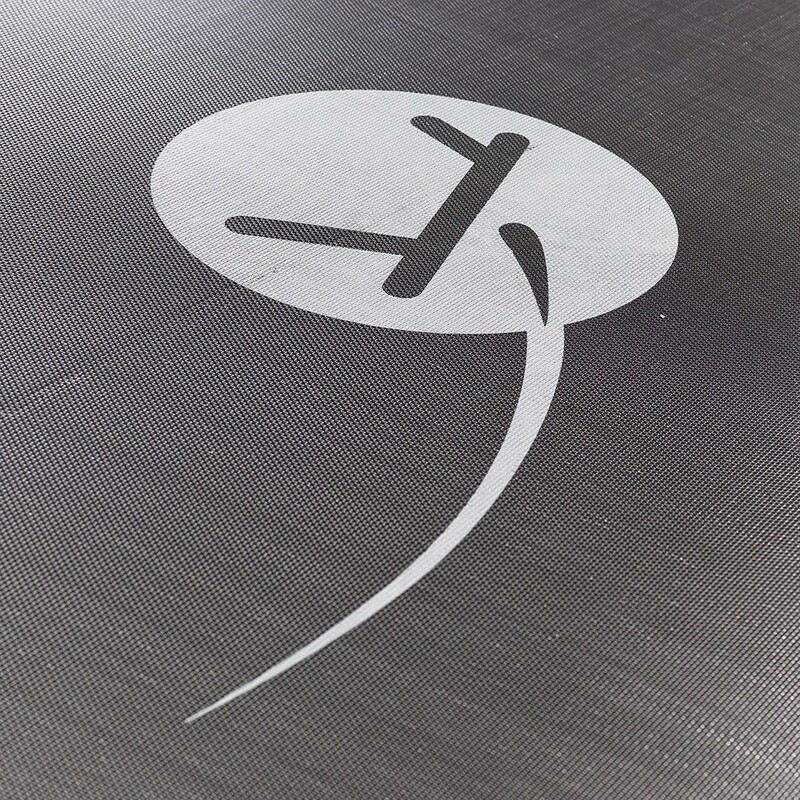 This jumping mat is adapted to 3.05 m trampolines with 54 springs of 180 mm in length, including trampolines not bought at France Trampoline. This is a very resistant product and is ideal to replace your old jumping mat. 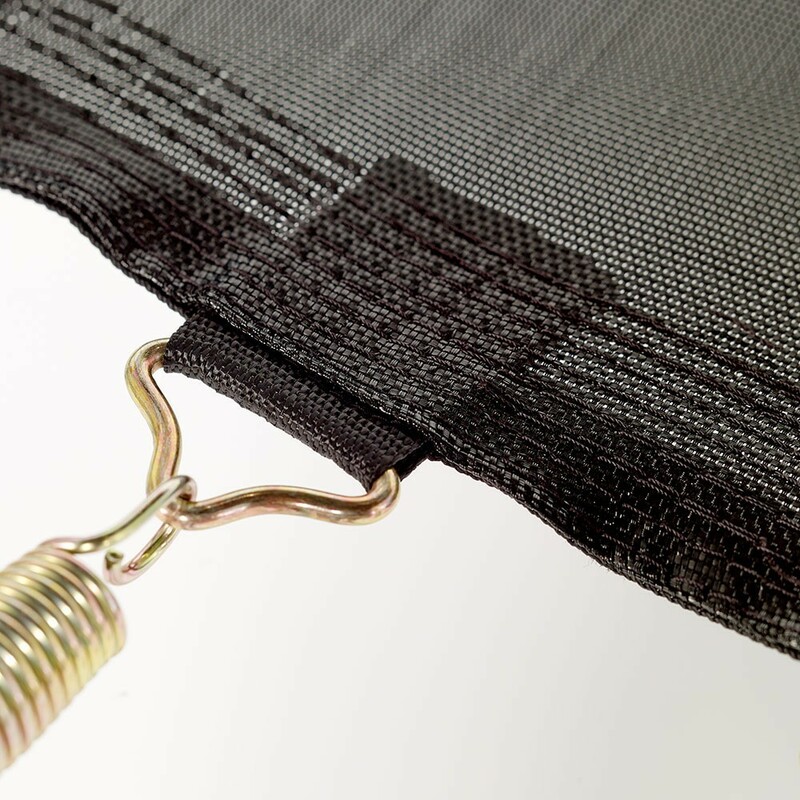 - This jumping mat is compatible with the Jump’Up 300 which has 54 springs of 180 mm in length. We would recommend asking a second person to help you take the measurements of your trampoline as precisely as possible. You should measure the diameter on the exterior edges. 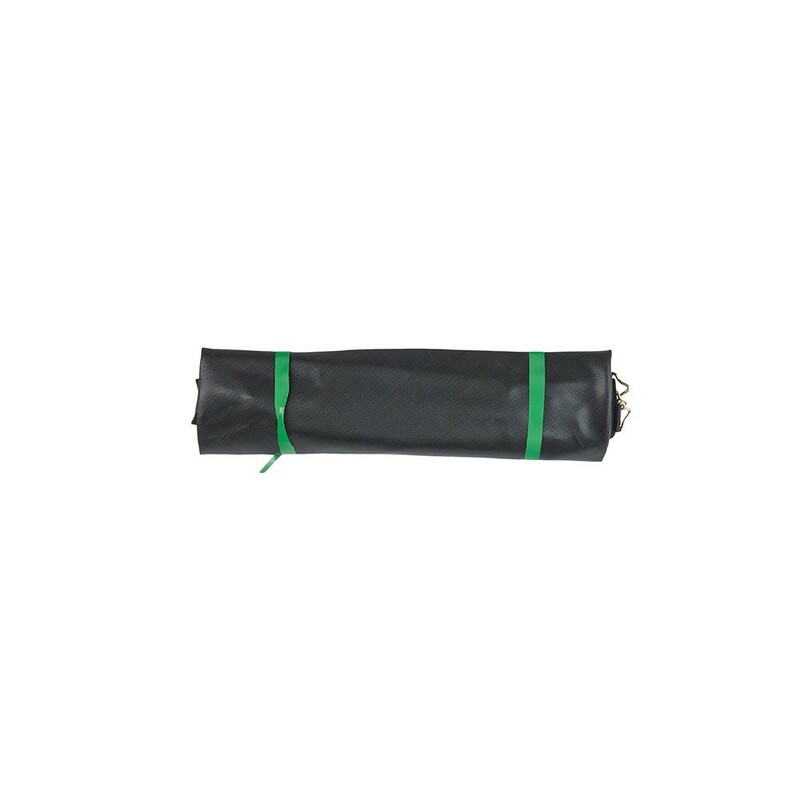 - This jumping mat is made from black mesh fabric, which is known to be incredibly resistant. It has been UV protected for extra resistance against the rays of the sun, making it even more durable. - Its triangular rings are strengthened by eight rows of stitches and reinforcement strip, under each strap. 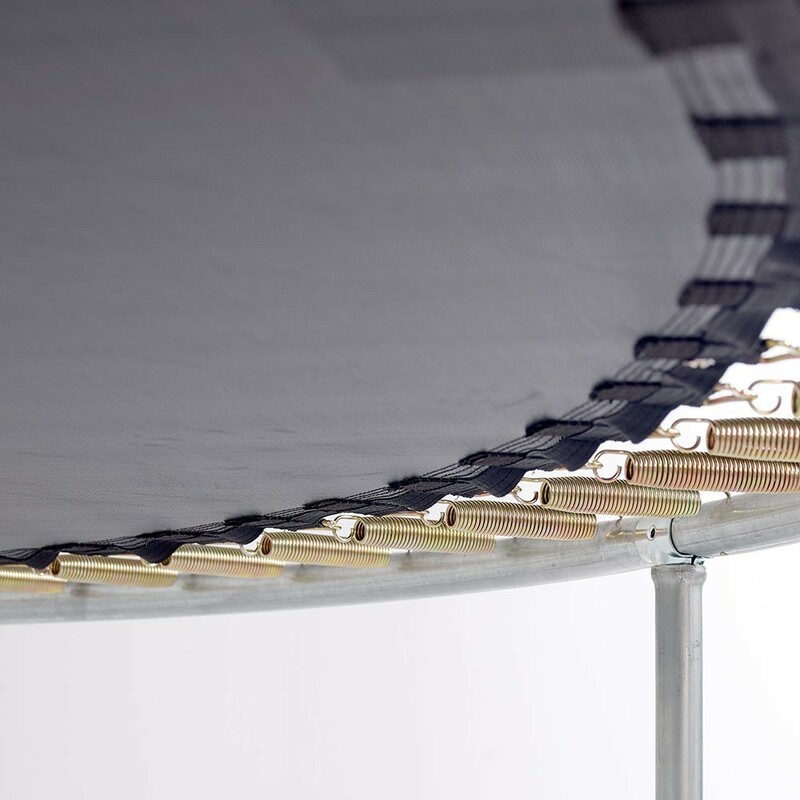 The triangular rings, made from hot-dip galvanised steel, are highly rust proof and ensure the solidity of this jumping pad. - Please check the size of trampoline springs as this product is only adapted to trampolines with 54 springs of 180 mm in length. We therefore recommend measuring them before ordering. 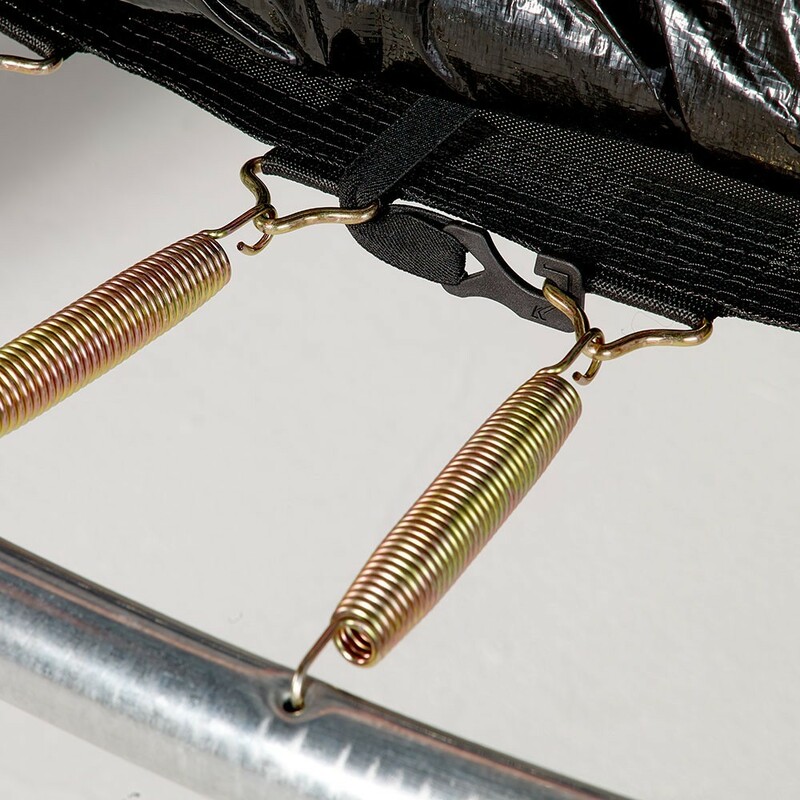 In order to do this remove one of the springs by pressing down firmly in the centre of the spiral, then removing the hook from the framework of the trampoline. If you have any questions please do not hesitate to contact us.